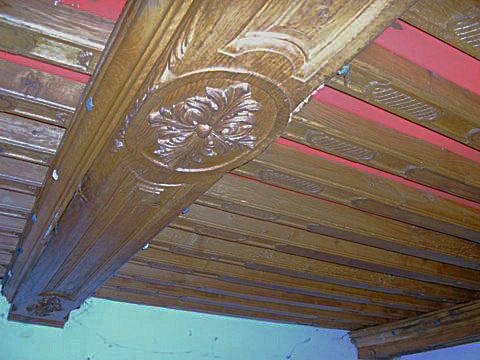 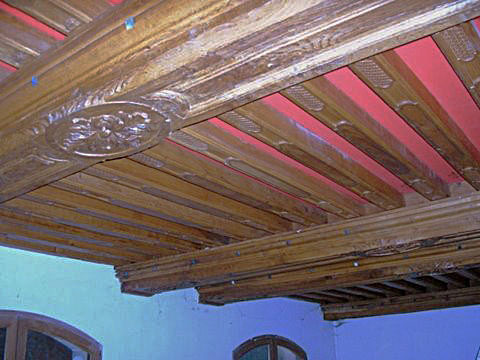 French oak ceiling with traditional carved features. 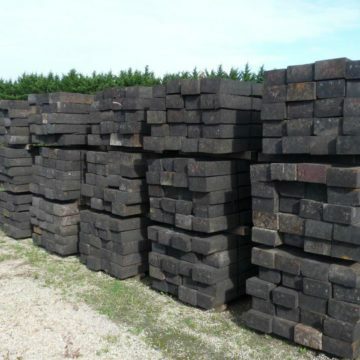 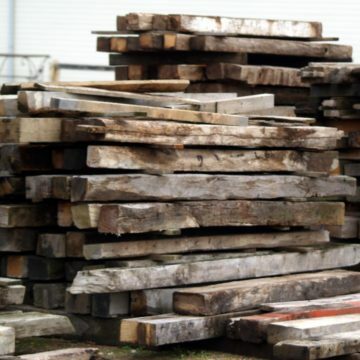 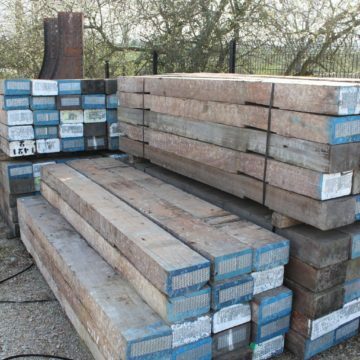 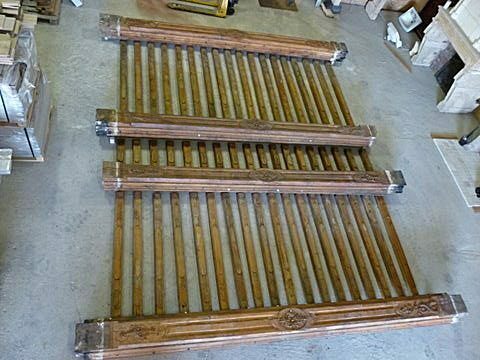 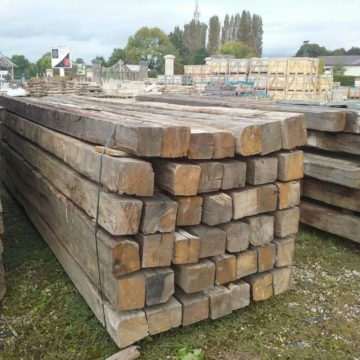 Comprises the following oak pieces, dimensions approx: 6 principal beams (4 are central, 2 alongside wall) in section 30x30cm (12×12″) x length 515cm (16ft11″). 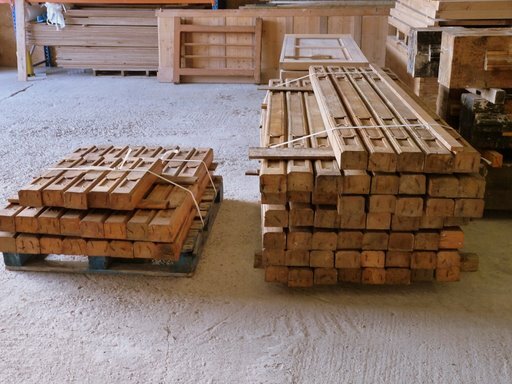 3 sets of 17 joists: Set A) 17 x section 11x8cm (4.3″x3.15″) x length 209cm (82″). 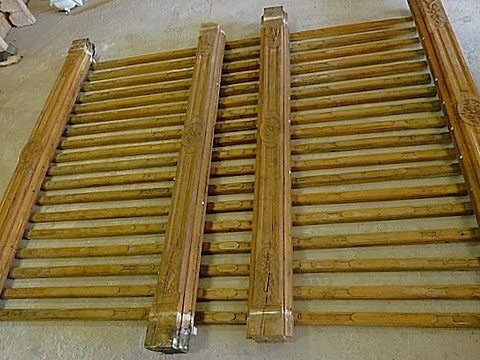 Set B) 17 x section 11x8cm (4.3″x3.15″) x length 186cm (73″). 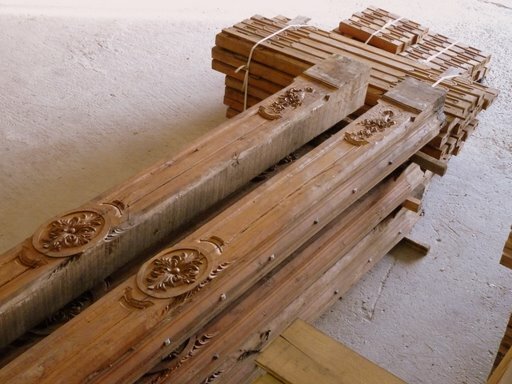 Set C) 17 x section 11x8cm (4.3″x3.15″) x length 64cm (32″).